For Chief Eddie Ugbomah, former chairman of Nigerian Films Corporation and veteran actor and filmmaker, the past one year has been a long battle of survival. 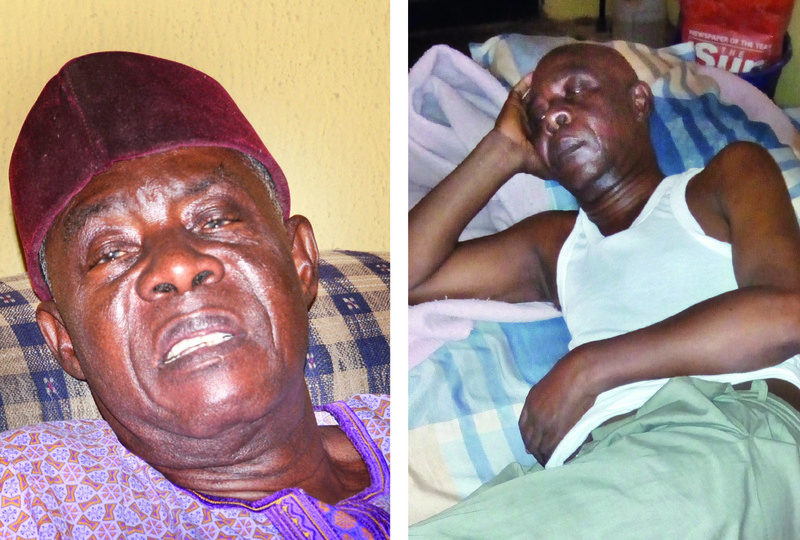 Ugbomah, who turned 78 last December, is suffering from a brain ailment, and is clutching at every straw to stay alive. What stands between his survival and death is N50m. And for more than seven months now, the Dr Oyenusi actor has been running a survival race against time. As published in the Saturday Sun TIMEOUT of February 2, 2019, Ugboma decidedly took his fate in his hand with a raft of initiatives––including selling his autobiography and films and documentaries among others––to raise fund for his treatment. He also appealed directly to Governor Ifeanyi Okowa of Delta State, where he hails from. Six weeks later, he is still not anywhere close to raising the needed fund, even after selling his house and car. His appeal to the Delta State government evoked a tenuous response. During a brief interview, with Saturday Sun, he once again sent an SOS appeal directly to the Delta State government and to Nigerians with the milk of human kindness. According to him, the story published by Saturday Sun evoked some response from officials of Delta State Government. Despite giving him “the same medication” (which I have been taking since last September, he said), there has not been any significant improvement in his condition. “My tooth is totally bad, I sweat a lot, I can’t hear, I can’t eat, I don’t see, my ears are blocked, I have lost my voice and I suffer severe headache every day,” he complained. At this point, Chief Ugbomah broke down and rounded off the interview in tears.